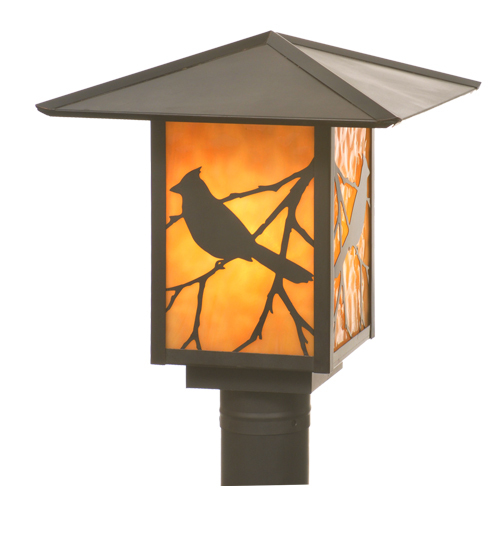 Description: Branches with Song Bird silhouettes accent this handsome American Craftsman lantern style post mount. The fixture, handcrafted in the USA by Meyda artisans, is finished in Craftsman Brown and has Beige glass panels. Description: Branches with Song Bird silhouettes accent thishandsome American Craftsman lantern style post mount.The fixture, handcrafted in the USA by Meyda artisans,is finished in Craftsman Brown and has Beige glasspanels.